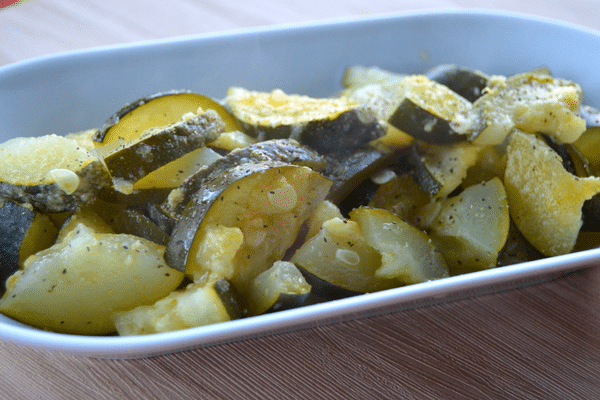 Preview: Eat more veggies with this super easy and delicious zucchini recipe! Has your garden started producing zucchini despite the crazy weather we’ve had this spring/summer? Here is a simple summer zucchini recipe to help you start enjoying the fruits (or vegetables) of your gardening labor! 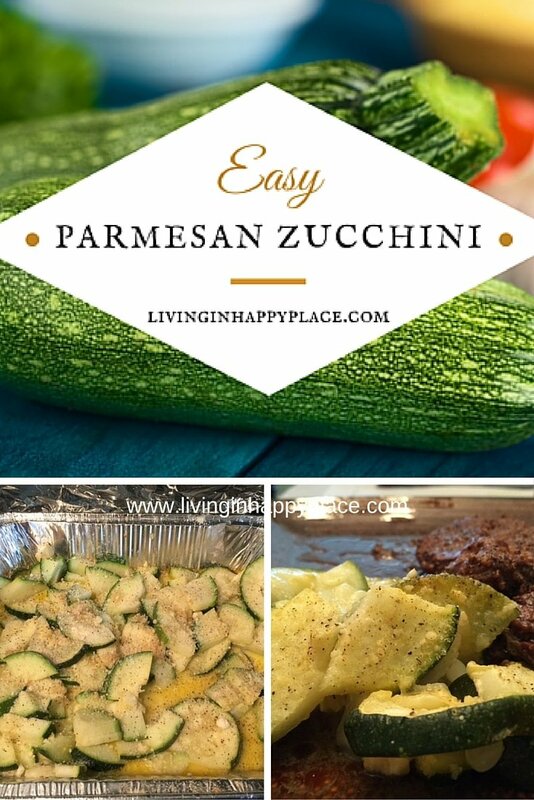 If you are just trying to get more veggies in your meal plan or encouraging the kids to eat heathy, make it easy with this zucchini recipe that uses just a few ingredients and is one-pan simple. Perfect for families on a budget! 1. Preheat oven to 350 degrees. 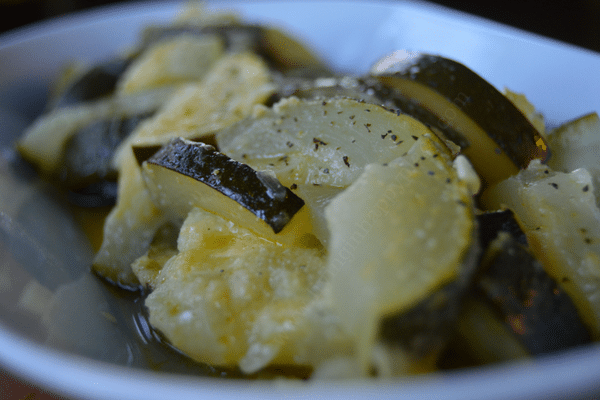 Cut zucchini into quarters and place into baking dish or metal pan. 2. Slice butter into pads and place on top of the zucchini. (*Tip- I use olive oil-based light spray butter as a healthier alternative. Spray zucchini to cover). 3. Add garlic, parmesan cheese, and seasonings and mix well. 4. Bake in the oven, covered, for approximately 25-30 minutes. 5. Uncover and bake another 5 minutes. Baking times and ingredient amounts can vary based on how much zucchini you are using. If you are a regular reader here in HappyPlace, you know that I am Italian and I tend to “eye” rather than measure ingredients. 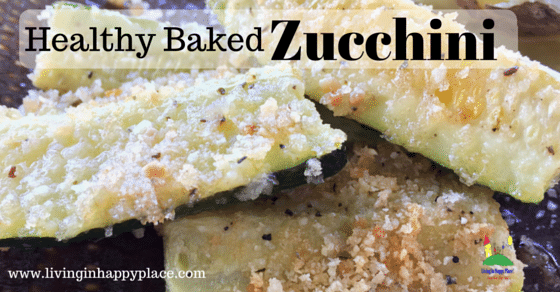 This is pretty much a no-fail recipe; all ingredient amounts can be adjusted to taste and amount of zucchini. I often squeeze a bit of fresh lemon (about half a lemon for a medium to large zucchini) over top of the mixture for a little extra taste. Keep an eye on the cooking time to get the perfect crispness. I take mine out when they are soft but before they get mushy. 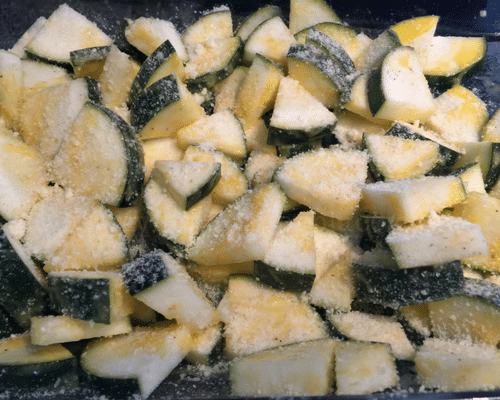 Cut the zucchini into quarters and place into baking dish or metal pan. Slice butter into pads and place on top of the zucchini. (*Tip- I use olive oil-based light spray butter as a healthier alternative. Spray zucchini to cover). Add garlic, parmesan cheese, and seasonings and mix well. Bake in the oven, covered, for approximately 25-30 minutes. Uncover and bake another 5 minutes. 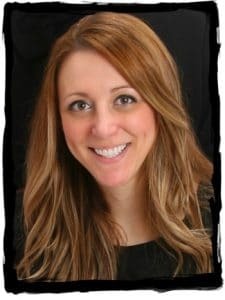 Make sure to SUBSCRIBE, Like us on Facebook, and follow HappyPlaceMom on Pinterest for more delicious and addicting recipes. Follow dinner up with a delicious Chocolate chip cookie balls (just three ingredients!) 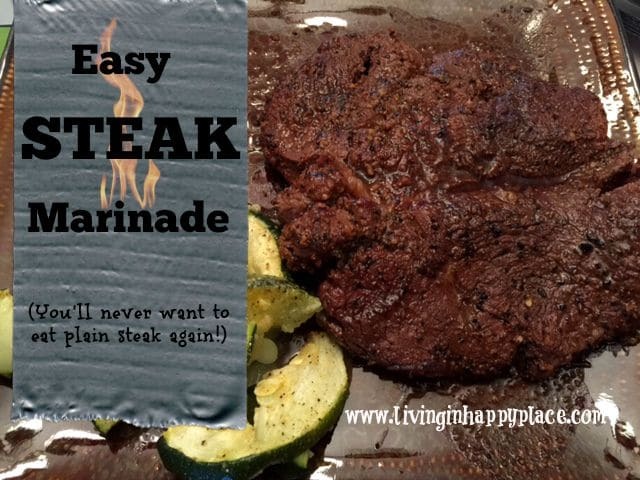 and you have a perfect summer meal!